After the FIRST Stronghold game reveal on January 9, 2016, the team met to discuss: the game objectives, rules, strategies and started thinking of prototype ideas. This week kicked off with the team hard at work prototyping ideas for the robot based on the ideas shared and developed at Saturday’s meeting. We have a team policy of listening to all ideas and being respectful of the sharing team member’s ideas. We understand that sometimes the most far fetched ideas are the best solutions. 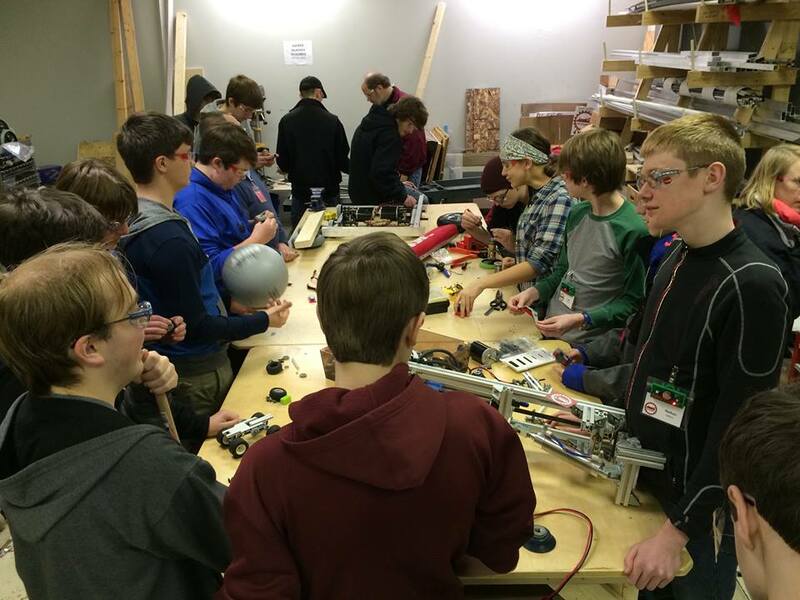 This entry was posted in Robotics build and tagged Dexter High School, DHS, Dreadbots, FIRST, FRC, FRC team 3656, Maker Works, prototype, robotics, Stronghold, team work. Bookmark the permalink.